You are sure to know what a Dandelion looks like but did you know that the plant is good to eat? Yes, this very widely distributed wild flower makes an excellent salad ingredient, as well as being a good base for making a home-made wine from. Its roots can even be roasted and ground to make coffee. Dandelions are found in many places all around the world so are easy to get hold of too when out foraging. And the Dandelion is a food that is free. I doubt if the Dandelion (Taraxacum officinale) really needs a description because this common wild flower is so well known. A member of the Compositae or Asteraceae as the family is now known, it is a cosmopolitan plant found growing in fields, lawns and grassy places, as well as on rough ground and even in cracks in paving. It s a very popular plant for people who enjoy wildcrafting. The Dandelion is easily recognised with its bright yellow flowers made up of many fine petals carried on stalks up to 1 ft in height, jagged leaves that grow in rosettes and 'clocks' after flowering. These 'clocks' are known to many children who delight in blowing them and watching the 'fairies' blow away in the breeze. It is a perennial herb and has long tap-roots. 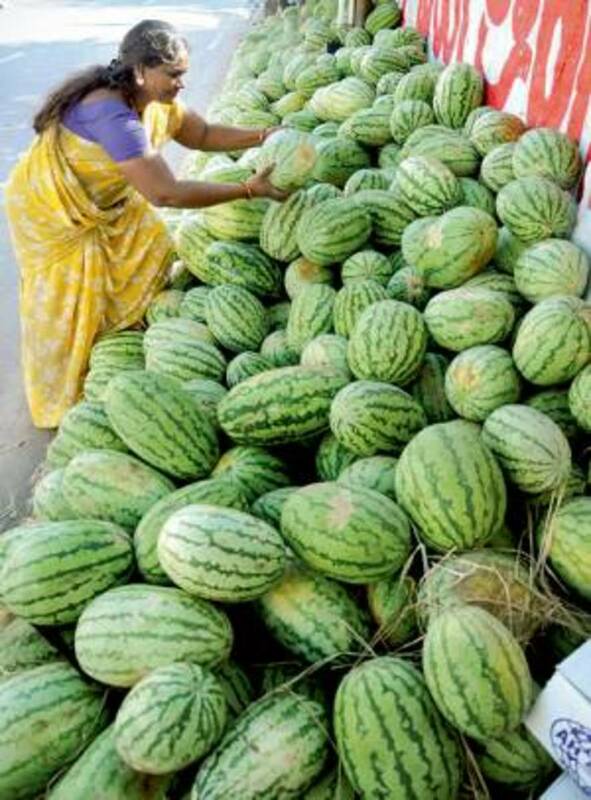 The whole plant gives out a white milky juice if broken. The Dandelion flowers all year round, though most often in spring and early summer. Because it can be found in every season makes it a really useful plant for the forager. Markus Rothkranz - How much wild food can you eat ? The whole Dandelion plant can be eaten and raw foodist Markus Rothkranz describes it as a "Super food." 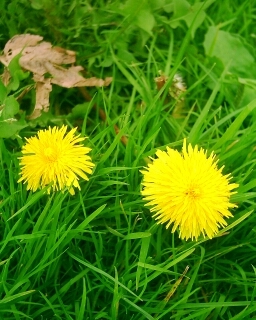 He is right because Dandelions contain vitamins A and C, as well as the minerals iron, magnesium, potassium and calcium. The leaves, stalks and flowers can be eaten in salads. The Japanese use Dandelion root as a vegetable which they cook Nituke-style. The scrubbed roots are cut into rings and sautéed in vegetable oil. A small quantity of water is added, a pinch of salt, and then the pan is covered. The Dandelion roots are stewed lightly until most of the liquid has gone and then a dash of soy sauce is added before they are served. 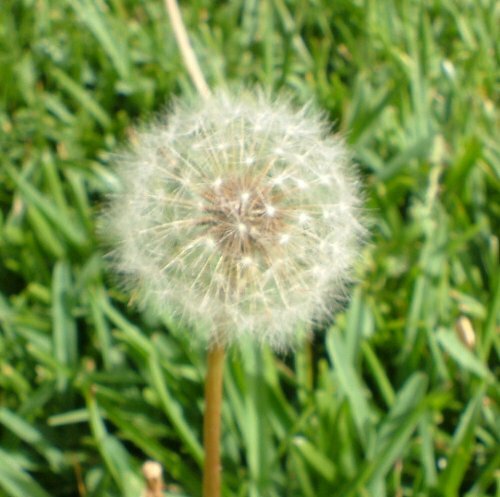 In the Oriental Macrobiotic dieting philosophy it is believed that the Dandelion is very Yang. This makes it a very useful herb in the modern world where it is believed that far too many Yin foods and drinks are consumed. Dandelion roots can be harvested in autumn when they are scrubbed clean then dried and roasted in an oven until they go brittle. At this stage the Dandelion roots are ground up and can be used as substitute for ordinary coffee. They have no caffeine in them so make a much healthier beverage. Dandelion coffee is a healthy drink. Dandelion flowers can be collected and used as the base to make a potent home-made wine. Dried they can be used as a herbal tea. 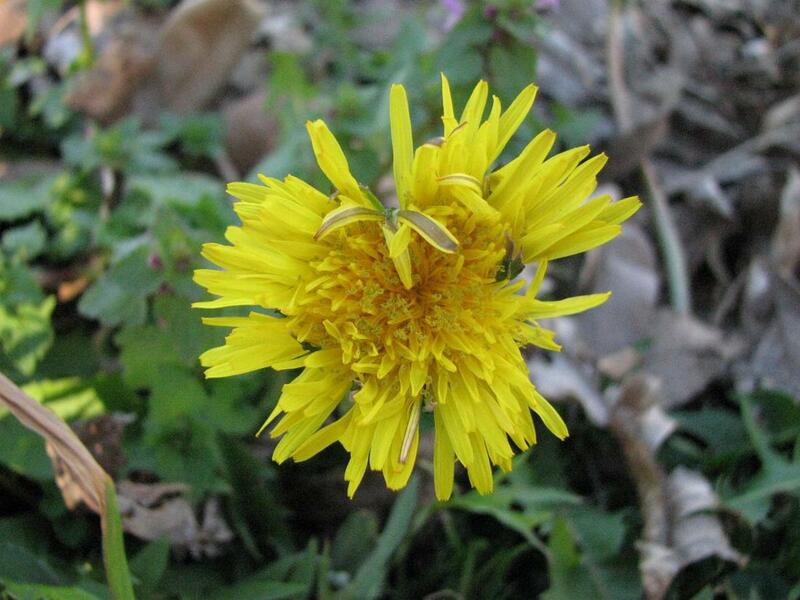 In herbal medicine the Dandelion is used for its diuretic properties. Taken internally it is used as a remedy for urinary infections and diseases of the liver and gall-bladder. 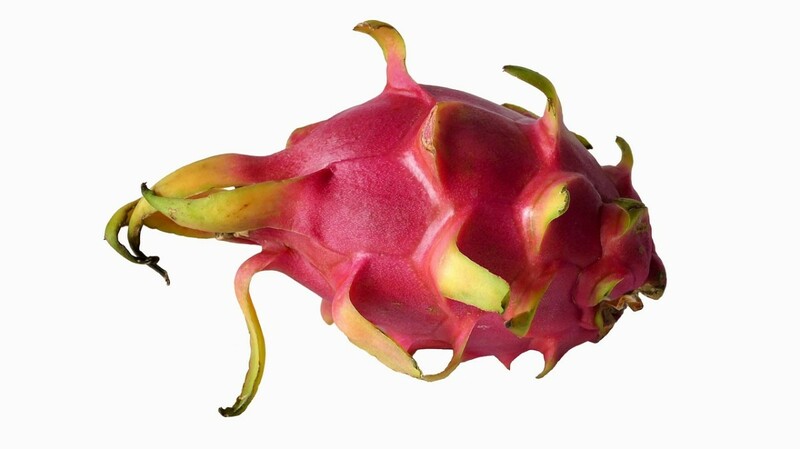 It is also thought to be a good treatment for gout and rheumatism, and is a tonic for the digestion and appetite. Dandelions can be cultivated and blanched by heaping earth around the lower parts of the leaves. Burning Fire, Clocks, Clock Flower, Clocks and Watches, Combs and Hairpins, Conquer More, Devil's Milk-plant, Dog Posy, Fairy Clocks, Farmer's Clocks, Golden Suns, Horse Gowan, Irish Daisy, Lay A-Bed, Lion's Teeth, Male, Mess-A-Bed, Pishamoolag, Pissimire, Pittle Bed, Priest's Crown, Schoolboy's Clock, Shepherd's Clock, Stink Davine, Tell-Time, Time Flower, Twelve O'Clock, Wet-weed and Wishes. Some of these names make reference to its strong diuretic properties. The common name Dandelion is derived from the French "Dents de lion" (Lion's tooth). Richard Mabey gives two Dandelion recipes in his classic book Food For Free. Collect sufficient Dandelion leaves, wash well and trim off any excess stalk. Chop the leaves and dress with olive oil, lemon juice and a trace of garlic. Serve in sandwiches with a dash of Worcester Sauce. This French dish consists of small pieces of crispy fried bacon served hot on a bed of raw Dandelion salad and dressed with vinegar, bacon fat and seasoning. Throw in a few flower-heads to add colour. There is a lot more about how to prepare Dandelions for eating in salad here. Back at the tale-end of the psychedelic sixties the late great John Peel had his own record label called Dandelion. It epitomised the days of "Flower Power" and had several acts that Peel had featured on his BBC Radio One show Top Gear. One of these was the singer-songwriter Bridget St John who had two albums on Dandelion, and the band Medicine Head also got their start on the label before going on to become a hit-making act. The Dandelion label was not about commercialism though, it was about artistic creativity and the Dandelion flower was a symbol for this. The Dandelion, after all, has seeds that fly where the winds carry them! Thank you for commenting, Glimmer Twin Fan and Teacher stories! Crab Grass seeds can be used to make porridge I believe though can't say I have any experience of this. I'm going to have to try this one since I've got about a million of them in my yard. Got any receipes for crab grass? Another great nature hub! So interesting. Loved the alternate names for dandelions. I had never heard them before.